From Radlett – Watling Street. At mini-roundabout turn (Near Petrol Station) into Park Road. After about 500 metres turn left into Gills Hill Lane, then after about 300 metres turn left into Gills Hill and enter Recreation Ground car park before the road turns sharp left. At the far end of the car park you will see tennis courts and beyond them our ClubHouse. There is a short walk up the pathway from the car park up to our pavilion. From A41 (M1 Junction 5). Turn into Hartspring Lane (Toby Inn on corner), becoming Radlett Road and then Watford Road. 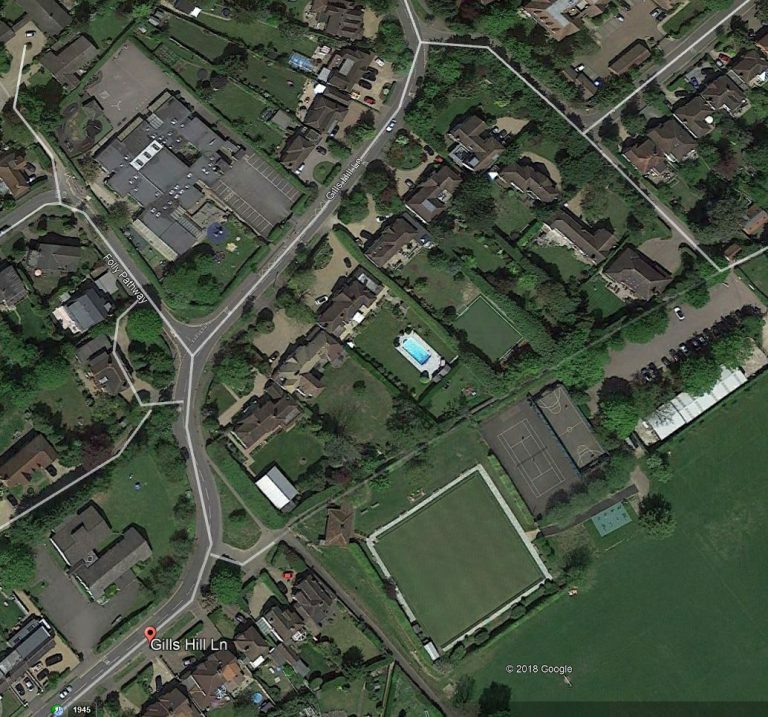 Turn right into Gills Hill Lane, then after about 300 metres turn left into Gills Hill and enter Recreation Ground car park before the road turns sharp left. At the far end of the car park you will see tennis courts and beyond them our pavilion. There is a short walk up the pathway from the car park up to our club house.